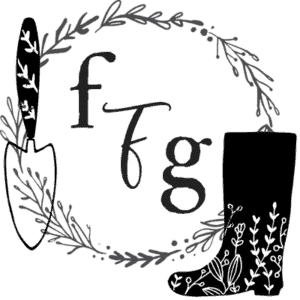 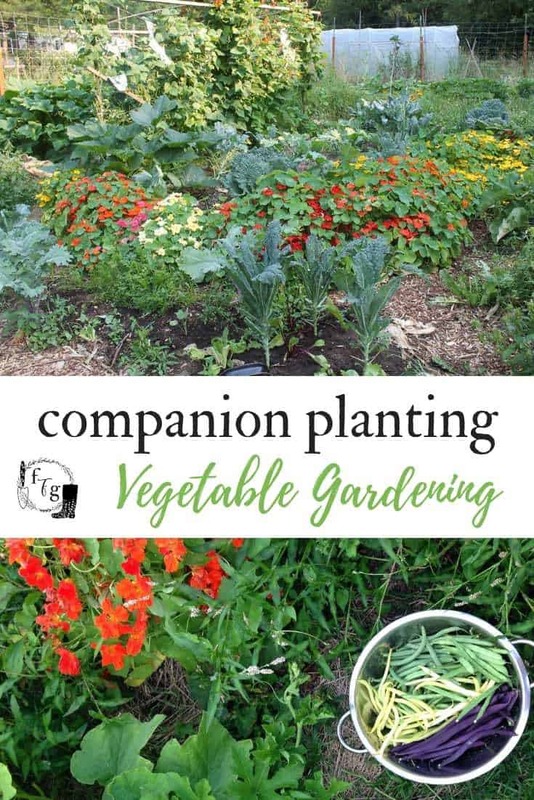 I’ve written before about using companion planting herbs and flowers for your veggie garden and showed you the 3 sisters companion planting guild. 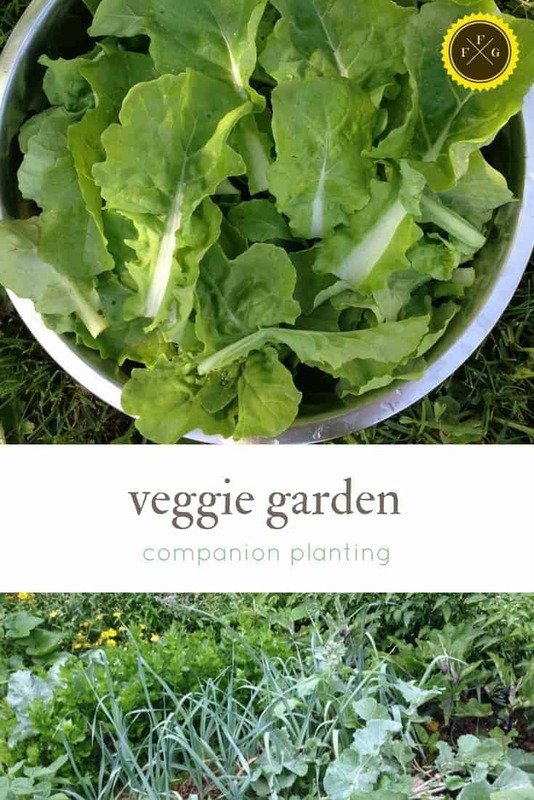 Here are some visual companion planting examples of garden beds and what plants are grown together. 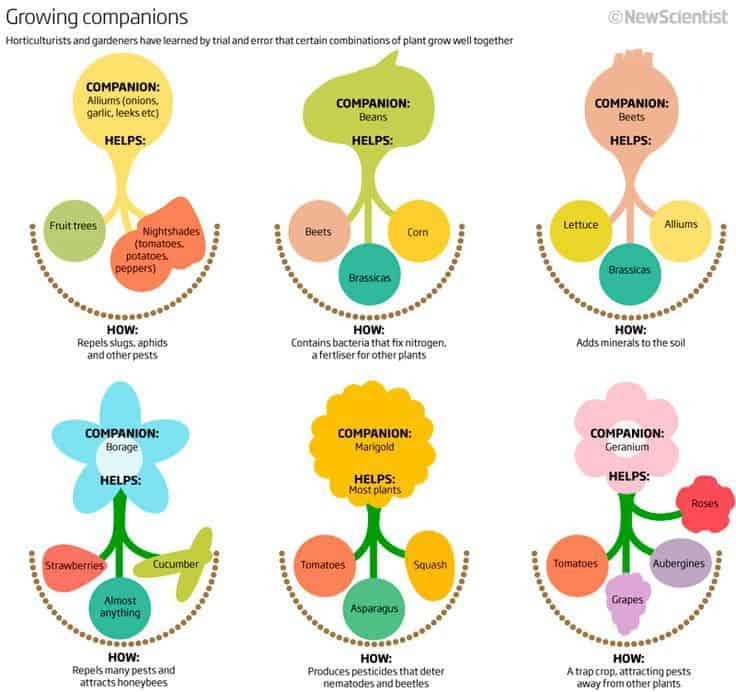 Companion planting involves growing plants that are mutually beneficial to each other and avoiding ones that don’t. 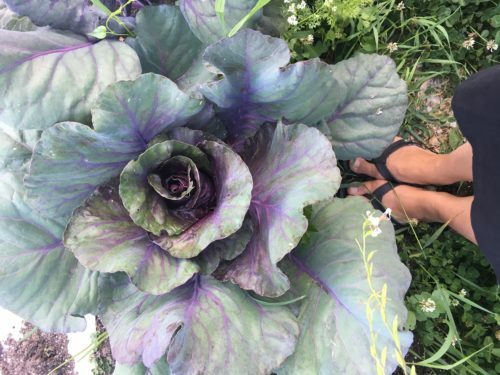 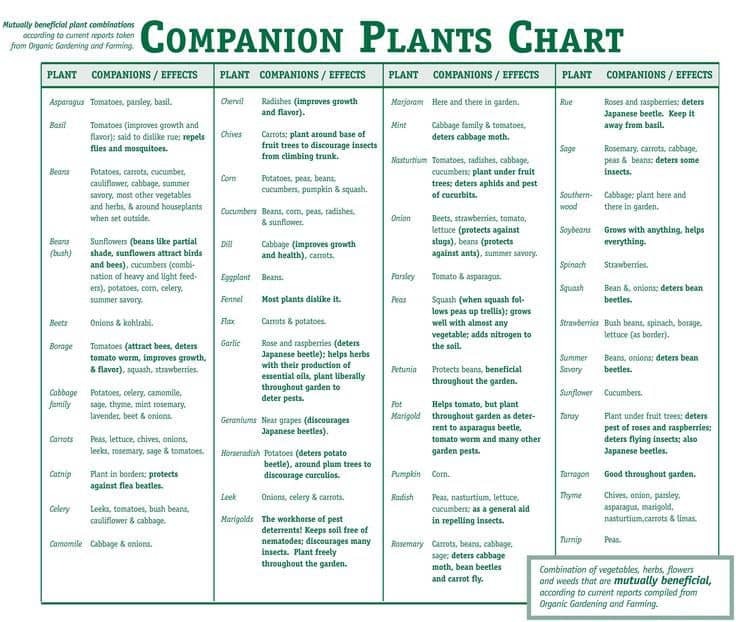 Some plants are lumped together because of crop rotation, which I’ve written in-depth in this crop rotation post (where you can also learn the plant families that work well together). 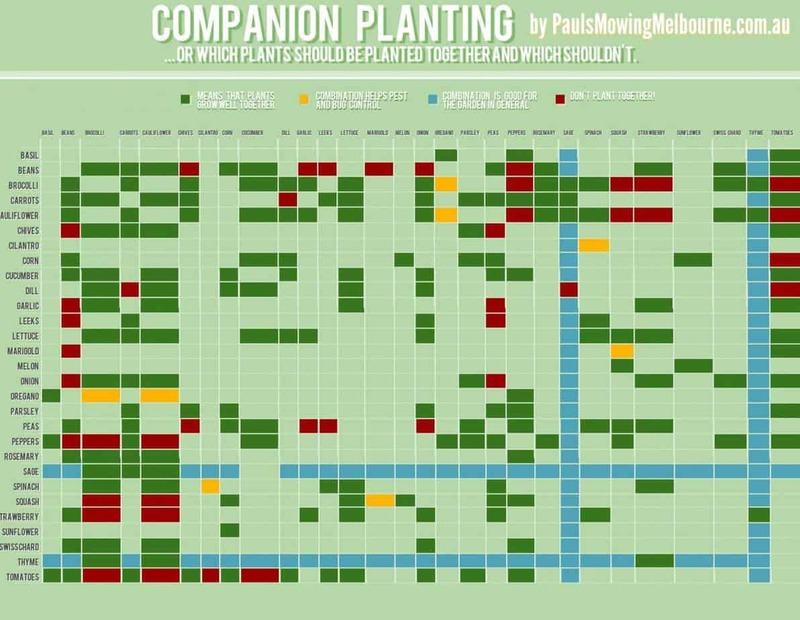 Be sure to check out this companion planting post too because it has some informative infographics. 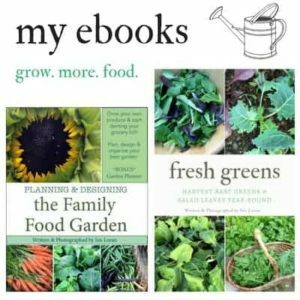 Borage is very attractive to pollinators, so planting it around squash improves pollination. 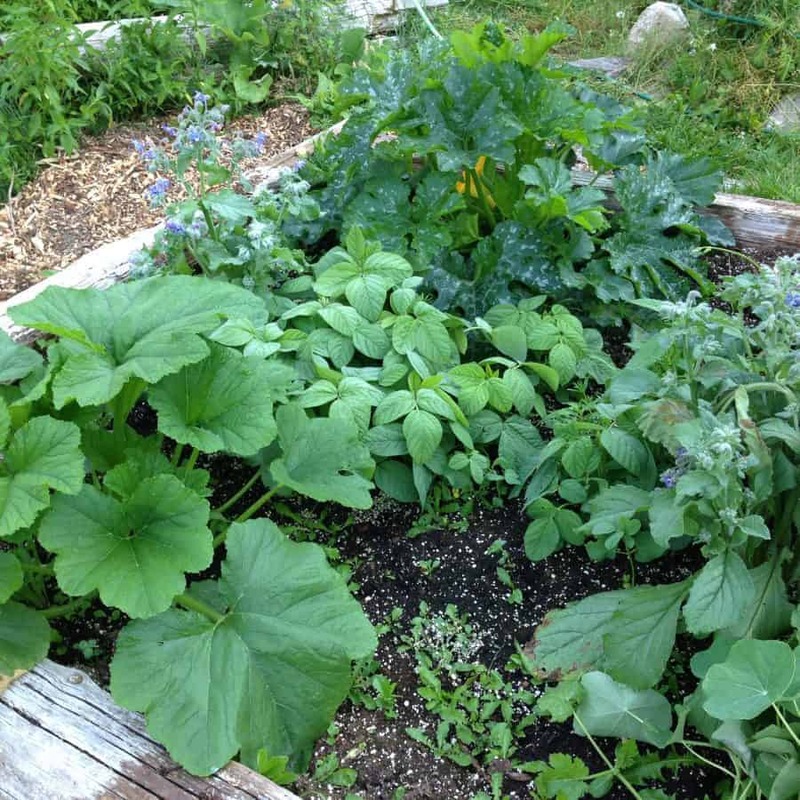 Nasturtiums also attract pollinators and apparently* help to deter squash bugs. 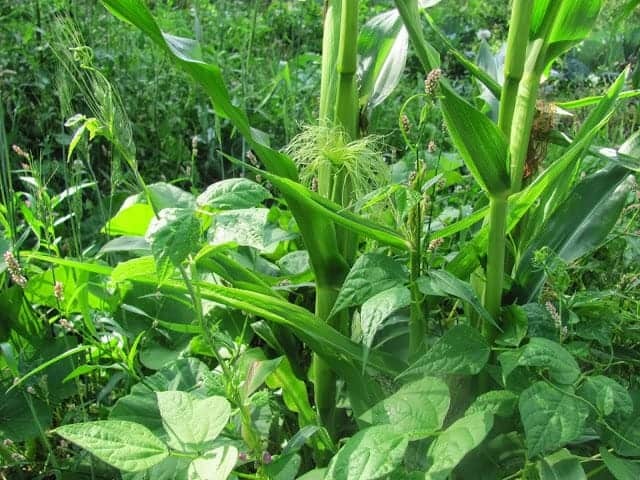 Beans and squash grow well together. 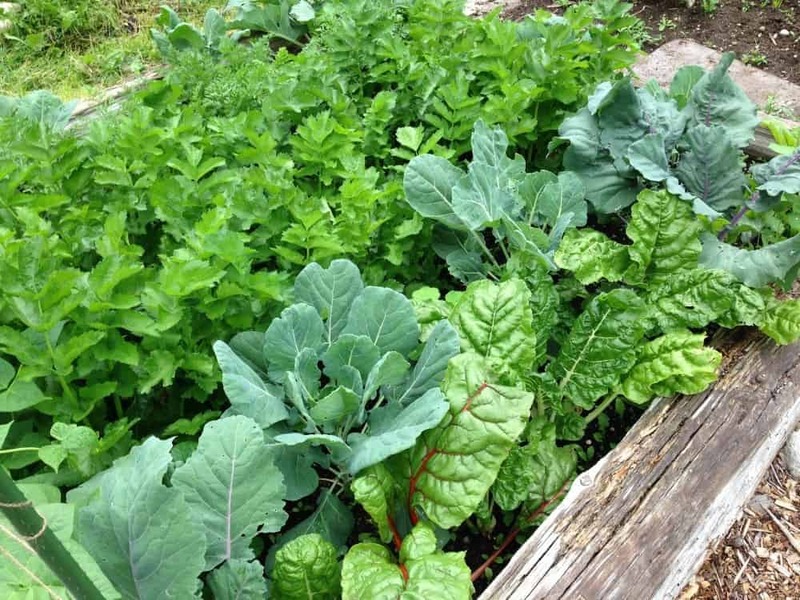 Carrots help to attract ladybugs & lacewigs to eat aphids that love kale and kohl rabi. 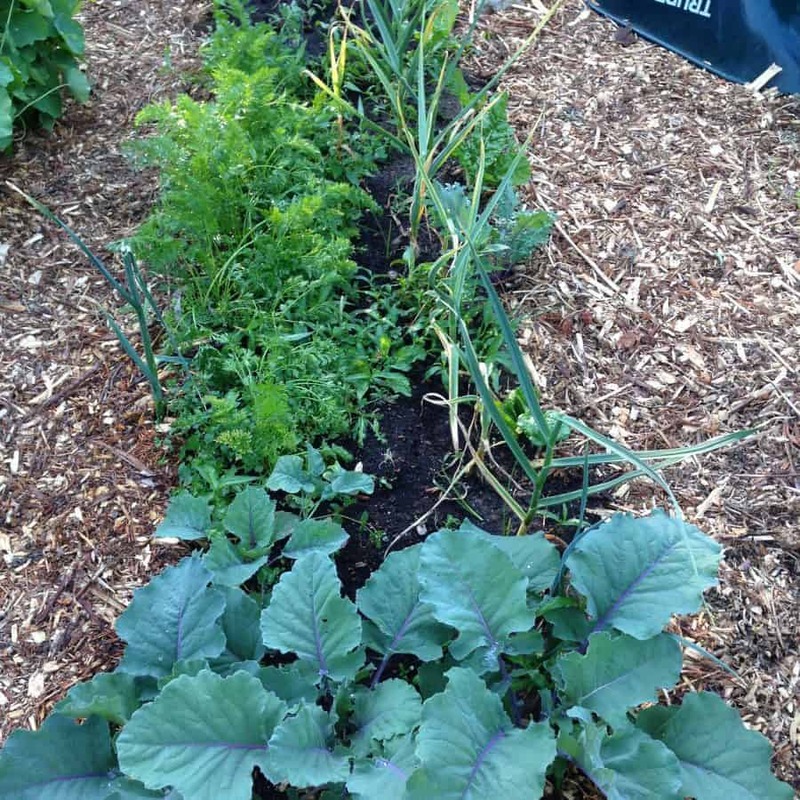 The garlic helps with scent deterrence. 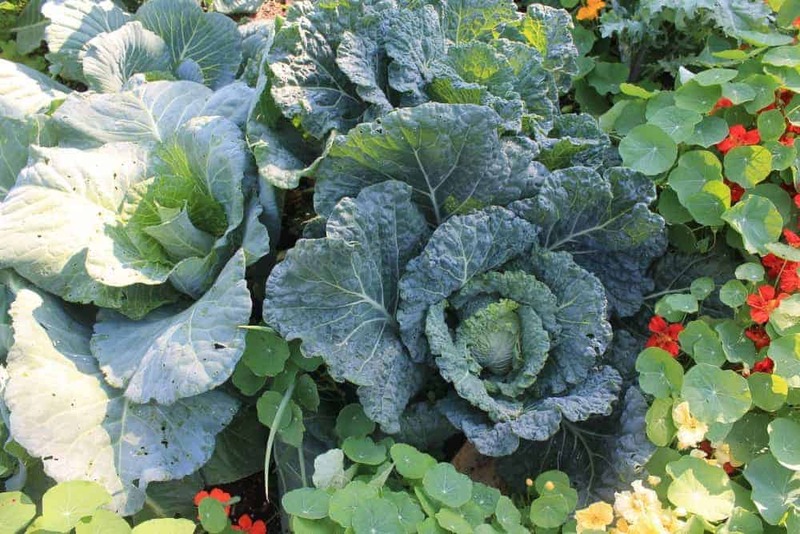 The nasturtiums attract aphids away from the cabbage, kale and broccoli and the onions help with scent deterrence. 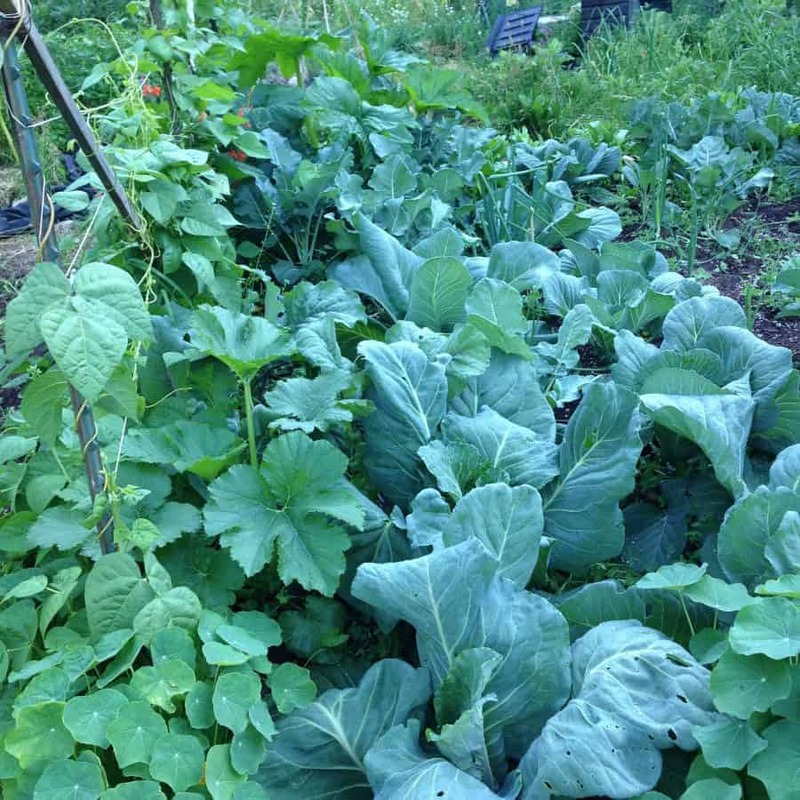 The vining zucchini and pole beans help to reduce some of the direct sunlight on these cool season crops to reduce the plants from bolting.